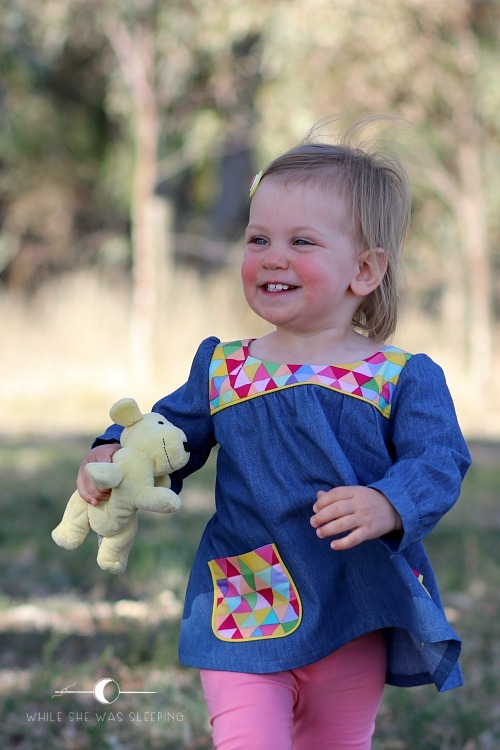 I love this girl, her happy smile, her zest for life... and her new tunic! 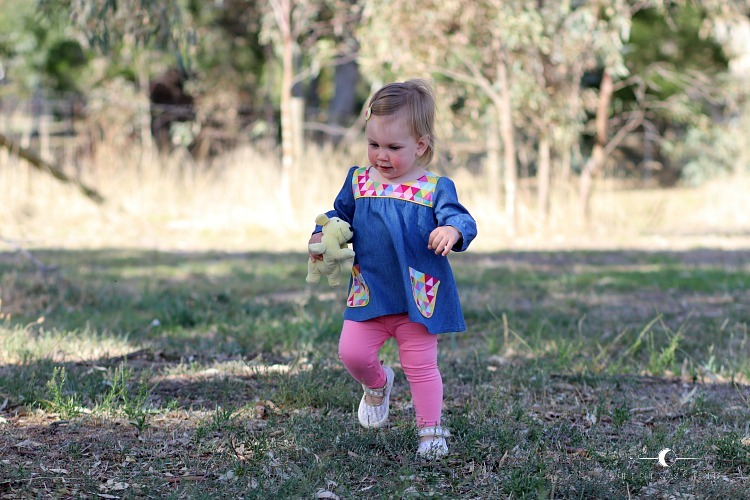 It is the Ania tunic by Coffee + Thread. 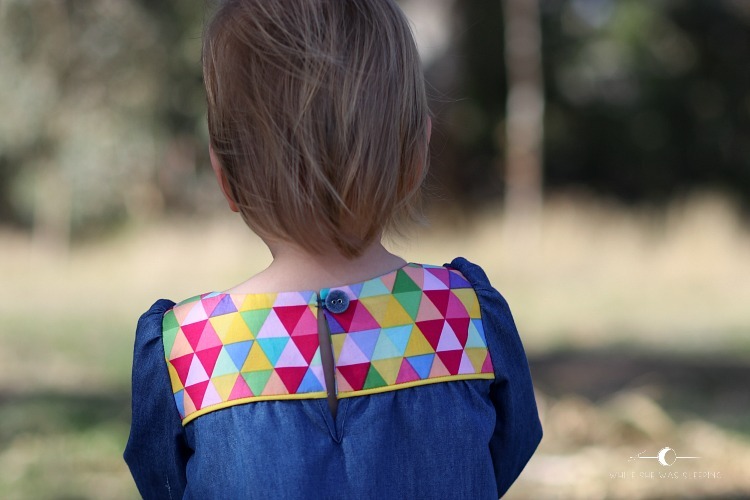 I bet that Olga, a talented designer behind Coffee + Thread, had Miss L in mind when she designed this pattern. 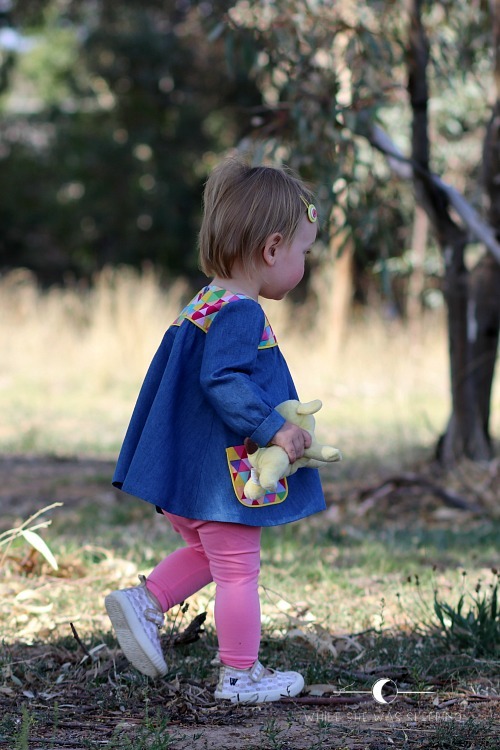 The Ania tunic is perfect for unstoppable little people. 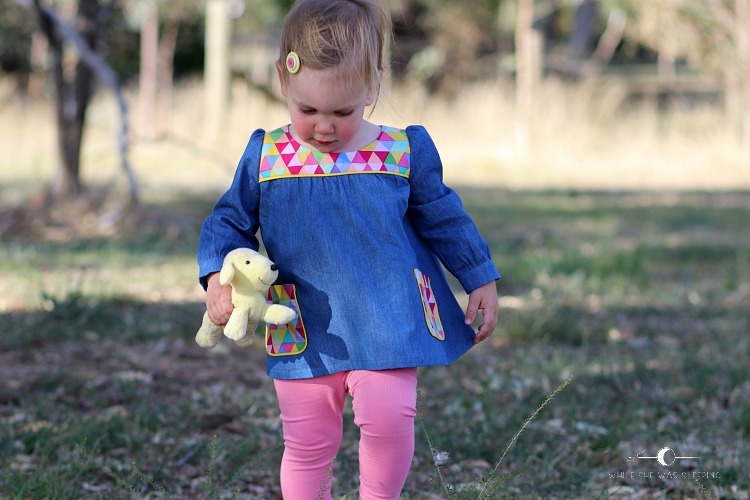 I originally wanted to make the Ania tunic from vintage fabric, but when I went to get it my eyes fell on denim chambray... Guys, if there is anything I love more than ice cream, that is chambray. 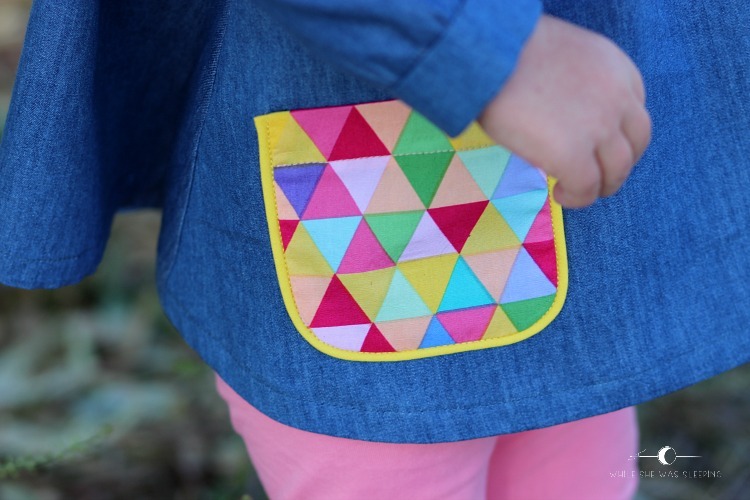 Or better still, denim chambray paired up with some bright fabric. Ooh yeah! Piping was not a part of my original plan. I failed to sew the rounded corners of the pockets nicely. I tried to convince myself that such imperfection was OK... but why force myself into something I am not happy with when I have the supplies to make it look better? A few months ago I purchased pre-made piping in a few different colours. Bright yellow was a perfect option for this tunic. I can't believe I did not think about using piping to help shape the pockets to begin with. Oh, piping makes everything look so much better, don't you agree? There are no difficult closures on the Ania tunic. There is just a button and a loop. The opening continues onto the lower back piece and has a very smart bias binding finish. 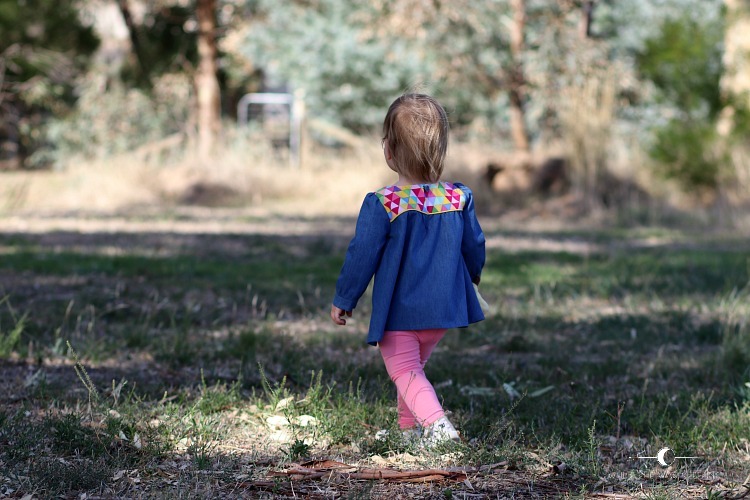 The neck opening is generous enough to get my ever moving toddler dressed on the run. I wish I had thought about print placement better. The back would have looked so much cooler if I matched the triangles not only across the bodice, but along the opening as well. I love buttons. I have an extensive collection of buttons of various shapes, sizes and colours. There was this one button in my stash that was absolutely perfect for this project! Oh how such small things make me happy! 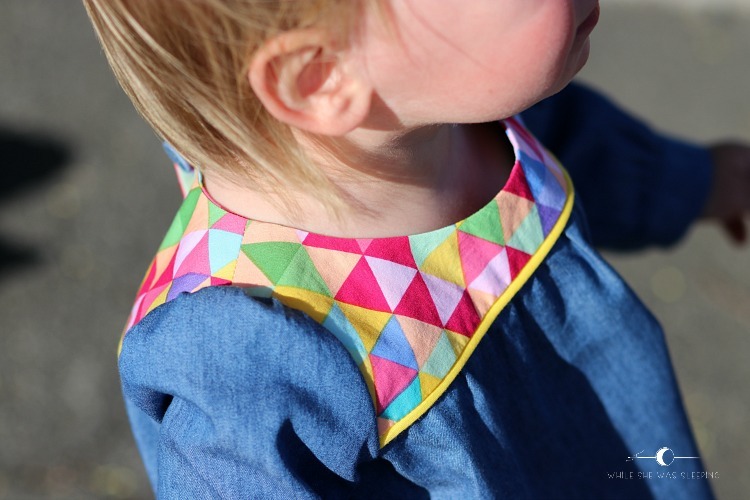 This tunic was an absolute pleasure to make. Well, once I resolved my pocket drama :) I was going to make a pair of the Wild and Free Lounge Pants to go with the tunic but I didn't have any fabric paint. They are definitely on my to sew list! 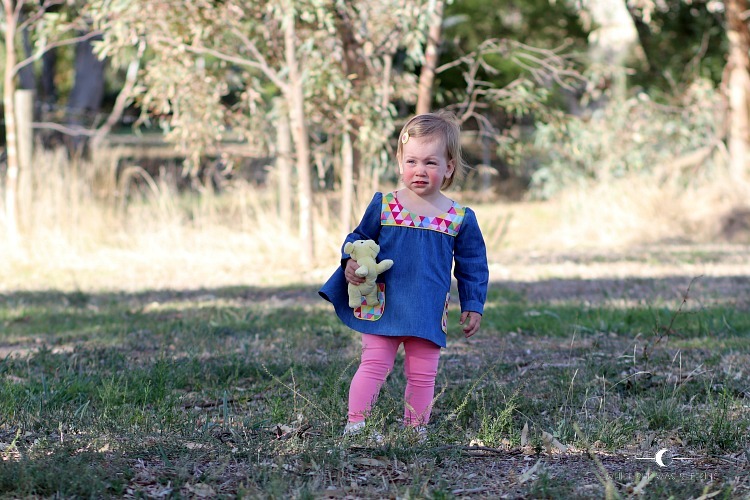 The Ania tunic is not the first pattern by Coffee + Thread that I used. Last year I made the Eleena dress for Miss R. My big girlie grew out of it a couple of months ago. It was a sad day when we had to put the dress away in a box. In a few years time it will be worn by Miss L! I am very happy with the quality of both Coffee + Thread patterns I have used to date. In fact, I am just about to start working on another one of Olga's patterns. 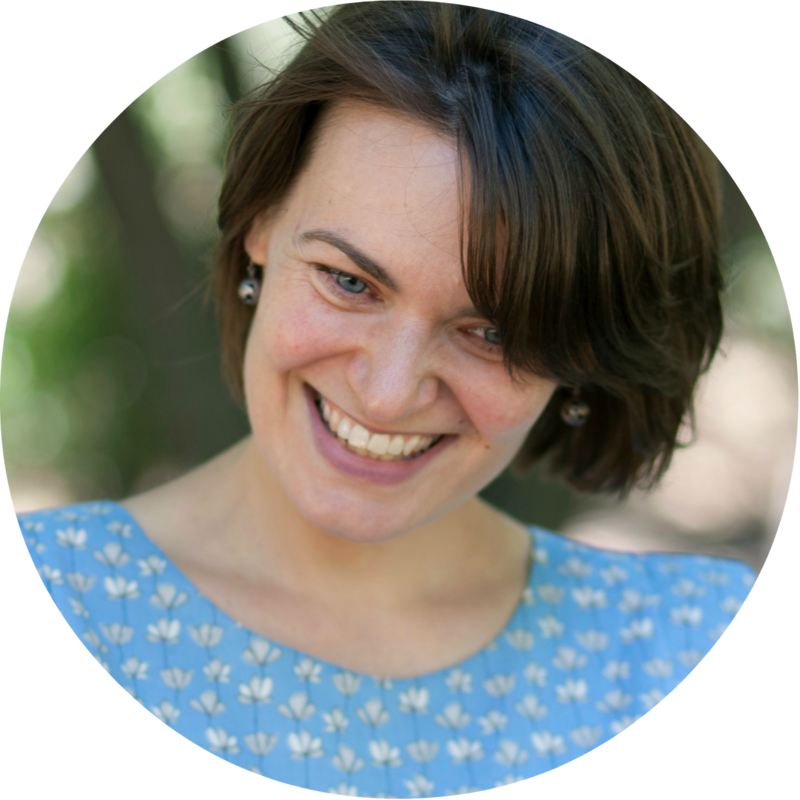 Miss R loved the look of the Ila dress, we already picked fabric, so there will be more Coffee + Thread goodness on the blog soon! And of course I would encourage you to visit my blog tour buddies. The things they have made are nothing short of amazing! What a cutie!! You did a great job!! 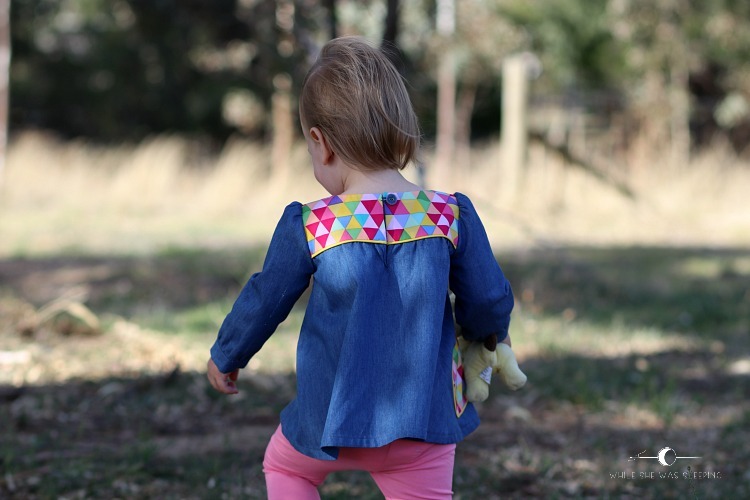 She is seriously adorable in her Ania and you are right...piping helps rounded corners a lot! And pssst it is actually possible to make the Wild and Free Pants without fabric paint ;-) I know, I know all those cute animal faces definitely adds big time to the cuteness factor but just saying! 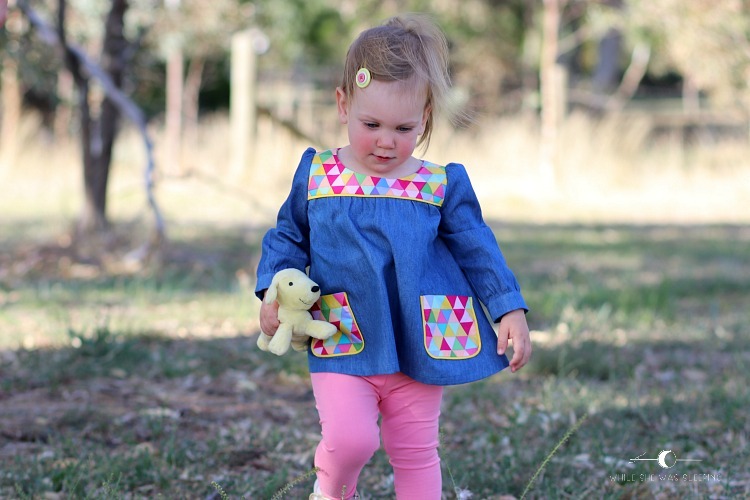 Your little girl looks so happy and adorable in her tunic! And the piping is a perfect addition! Thank you very much :) Until adding piping I was pretty much ready to toss this project away! Miss L is so stinkin cute, love that last picture! That Ania tunic is on my list, yours is really great!! Oh Jenya! This is soooo adorable! I love love your fabric choices! Just the right amount of pop. And of course, piping does make everything better! ������ Thank you sooo much for being on the tour! Thank you for having me Olga :) This is such a lovely pattern :) Once I dealt with my pocket drama, it was such an enjoyable project! She's soooo cute. And i just love four fabric choices. Together with the yellow piping this just screams summer and happiness. So good. Thank you Annika :) I loved seeing so many Ania tunics during the tour and how different and unique they all looked due to fabric choices! Love the fabric combo! She looks adorable! So darling! I love chambray and the piping looks fabulous! She is just the cutest! 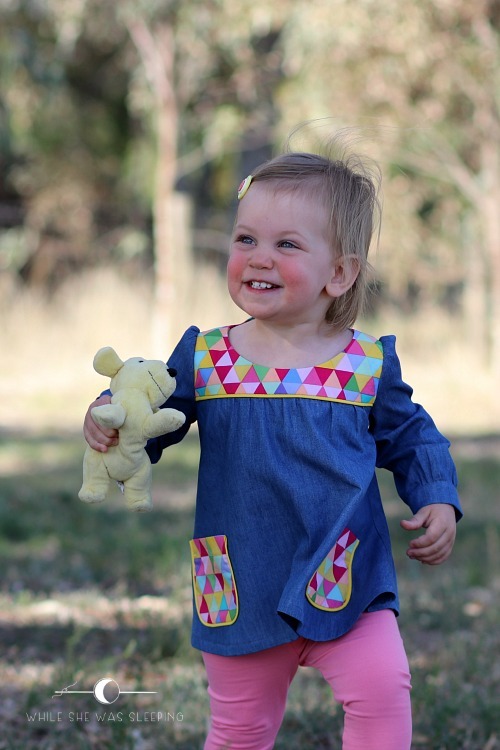 Love this happy coloured Ania tunic for this smiley girl! So gorgeous!! I love what you did with the contrast fabric, I'd love to have one of these!